Cupp’s Drive-Inn has long been a popular stop for Baylor University students, faculty, and staff thanks to its location near campus. 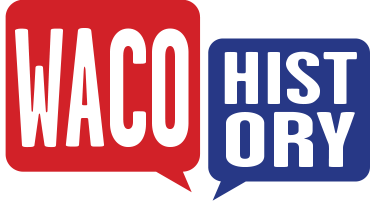 The restaurant purchased newspaper advertisements specifically targeting its Baylor clientele, such as this example from a 1982 edition of The Waco Citizen. 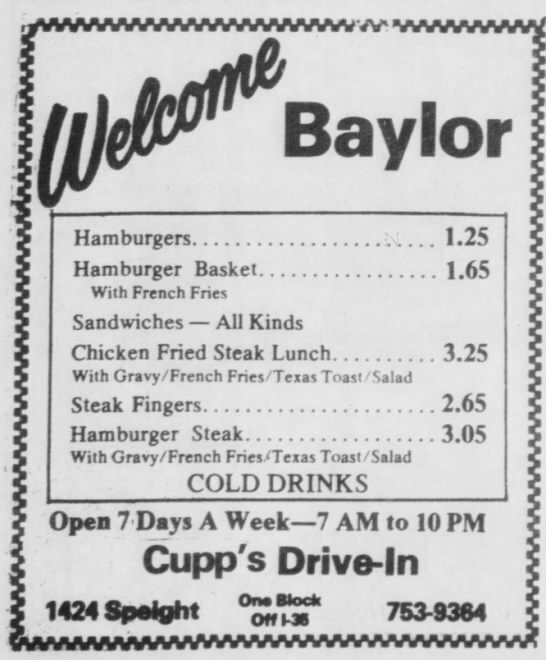 With its made-to-order menu that has remained unchanged since its opening, Cupp’s Drive-Inn continues to be a favorite stop for both Baylor and Waco customers.